I’ve discovered a new hobby. Honestly I don’t know how I will keep up with my hobbies but this one is not really new – Scrapbooking has been part of my life on and off in the past few years. But with four kids it is hard to find the time and the energy to do it. Enter my opportunity to review a Bamboo Craft earlier this year and with it I got introduced to digital scrapbooking. And you know what I think it is perfect for the blogs. But I also like creating pages from hand and preserve them for my kids. But this digital scrapbooking is fun. I admit that I am getting hook on it. So when I had a minute earlier this week, I googled and found a bunch of free scrapbook pages and embellishments. What do you think I did? – yep download them! And I played with it… for fun. I am trying to redesign my review blog and found fun things for it. And I played with the scrapbook part of it. This specific page has been done with a layout I’ve found at http://mizzkitten.blogspot.com/. Digital scrapbooking is interesting. I love the flexibility of it and the fact that I don’t have to print tons of pictures to make my pages. It is different than what I am used to but so much easier to put on a blog and share. I was working very slowly to transfer the old posts of Life at Oak Grove which was hosted by Homeschoolblogger. I had swtiched a long time ago to blogger and wanted to bring the old posts as well. Unfortunately when I started this transfer I couldn't export the blog. Well since then Homeschoolblogger has gone to Wordpress and now exporting was possible. However, I couldn't import it into blogger. After searching a bit on google, I found a website that does a temporary conversion and then I was able to import the older blog entries here. I'm so happy and relaxed now. No need to cut and paste... YEAH! 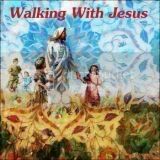 *To see what the Lord is teaching some other sisters in Christ check out the Walking with Jesus Meme over at Guiding Light Homeschool. 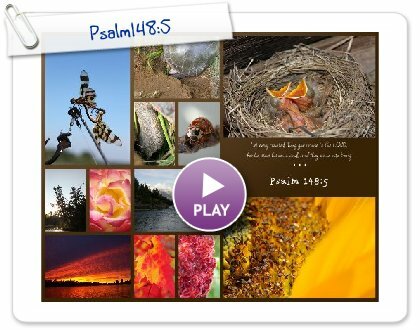 Recently I was reading Psalm 148 which is a praise Psalm for the God who created everything. And I realized that wherever we go, whatever we are doing, we can see God’s handprints around us. Anything and everything that surrounds us shows how God was creative and ready to do anything for us to discover Him. God has thought about every aspect of each created things; complexity, purpose, originality, colors, and the list could go on and on. When a child discovers and explores the world, he sees everything with new eyes. So why as adults do we miss all this. Perhaps we don’t take the time to stop, observe and discover God with brand new eyes. Have you done so lately? When was the last time you saw a sunset or observe ants for that matter? Go out today and look around you as if you have the eyes of a child. It could be in your backyard, on your street, in the park down the road, in the field, in the forest – anywhere. Go camping with your kids. Discover fishing. Enjoy taking a walk outside or biking or simply sitting down on the beach and watch the waves come in. Go visit tide pools, take the time to admire each animals you encounter whether in the park or at the zoo. Smells the roses (and other flowers too!). Go pick strawberries, raspberries, blueberries, apples and any other kind of fruit or vegetable that you can go pick yourself. Smell the dirt. Dig your toes in the mud after a rain. Go dance in the rain. You will discover a God who loves you dearly and who wishes to spend time with you. Take the time to thank Him for all the created things in the world. And praise Him. Wholeheartedly. Many Christians know this verse by heart. But it is always good to remind ourselves about the truth in it. Trusting someone we don’t see is hard at times – especially when you don’t see what is in the future. But God knows better than us. He knows what is needed in our life and what is good for us. So no matter what, we need to trust Him. If I depend on my own understanding when I feel blue and depressed, then I might do something that will harm myself. When you hit bottom and are teary eyes and can’t seem to see a positive side, it’s hard to think “happy” thoughts. I’m fortunate to have an husband who is there for me. And to be reminded – thanks for my daily readings – that God is always there no matter what is going on in my life. Why did I felt depressed this week? I don’t know. Maybe not having enough time for myself, too tired, and realizing that finding a church family is taking longer than I would have liked. So I cried out to my Father in heaven and asked him to direct us to a church where we can growth, have friends, support and love, where we can get involve and make a difference, where the kids will be comfortable and make friends too. I’ve read somewhere that when you are looking for a church, it can take up to a year to find something for your family. I will not get discourage. I will trust God that He will bring us to an amazing church. In the meantime, I will continue to read His Word, meditate on it, let God speak to me and homeschool my kids. This is my calling for now. And I plan to embrace it fully. Oh! And I sense that God is guiding me to get to know him better by registering to a three-year program going on in a church in town. I’m looking into it right now. It is once a week from September through May and I would be among adults. The only thing that is bugging me is that it is at the other end of the city which means lots of travelling. So I am thinking about it, praying about it and considering it. But if God is directing me on this path there must be a reason…. don’t you think? PS I’m glad that my sisters in Christ participating to the Walking with Jesus like the button I created last week. On July 5th, we drove to White Lake and rented a pontoon boat for our first family fishing trip. Here’s some images from our morning on the water. A fellow blogger participating to the TOS Homeschool Crew is having this interesting Meme going on titled Walking With Jesus. And this year as part of my blogging experience, I want to write more by participating in some of these meme going on around the blogosphere. The idea behind Walking With Jesus is quite simple. You have to blog about a Scripture verse that has been with you throughout this week, or yesterday or today. Quite simple and easy to do. So for this week, while doing devotions a verse struck me. Some of you might wonder where I am going with this but what struck me was the notes attached to this particular verse. The notes are taken from the Transformation Bible. The simile of the weaned child is a beautiful picture of the meaning of humility and maturity. Hebrew children were weaned at age three or four, and this experience marked the end of their infancy. But most children do not want to be deprived of mother’s loving arms and satisfying breasts, and they feel rejected and unwanted. But after the crisis of birth, each child must eventually be weaned and learn the first lesson in the school of life: Growing up involves painful losses that can lead to wonderful gains. God’s goal for us is emotional and spiritual maturity (1 Cor 13:11; 14:20’ Eph 4:13-15), and God sometimes has to wean us away from good things in order to give us better things. Abraham had to leave his family and city, send Ishmael away, separate from Lot, and put Isaac on the altar. To accept God’s will in the losses, and gains of life is to experience that inner calm that is so necessary if we are to be mature people. is HEAT a painful lesson for me? Why don’t I want to let go? Do I need to let go and grieve? Then we will have wonderful gains…? For those of you who are wondering what HEAT is (or was), well it was our church plant. We tried to plant a different kind of church in the downtown area but with the lack of volunteers and regular attendants, the church didn’t took off. At one point, we had to shut the doors (back in November 2009) due to the leadership team being too small. Since then, I’ve been struggling, trying to convince my husband to restart but to no success. So after asking these questions – I sensed a YES in my soul. I need to let go. I need to grieve HEAT and let go. Let our baby go. Peace swept inside me. I share with my husband and he feels at peace as well. Since this, another leader expressed the wish to take over with his wife. Maybe it was meant to be. They are more gifted to reach out to the rave community than us in many ways. However, we have told them to have at least 20 regular people before re-starting the church services and that we would be willing to be mentors for them – things we didn’t have when we planted. HEAT is planning an event in July with a DJ coming all the way from Pennsylvania. And another event are in the drawing for September. We will participate as much as we can – encourage the team to pursue and continue to reach out. Hubby says a rock has been lifted up from his shoulders. Me I am still grieving. But I am encourage that God will bless us in the process. The seed has been planted. HEAT is recognized for their cool decors and clean raves. Let me tears grow the seed now. I’m heartbroken. I pray that God will also bring us to a church family who will love us and uplift us. A church where we can get involved in ways we cannot imagine right now. Amen. I've also took the liberty to create a button to go with this blog post. I have been challenged to participate to a Christian Group Writing Project. How it works? Simple. A list of topics are offered on Faithful Blogger and you can choose to write on a topic on your blog. Then you need to go back and post the link of your post in the comments section so that everyone can read it. Each blogger has a couple of days to choose the topic and then a week to write the post. The first assignment is Psalm 23. We could choose ANY verse from the Psalm and write about it. I chose verse 2. We experienced this last year. We had a though year. Hard on the financial, spiritual and personal side of life. The business was struggling. Our church plant which we were pastoring had to shut it’s doors. I personally experienced rejection with a close family member. But through all this, God was faithful always reminding us (together or either one of us) that He is walking with us at any times. So we slowed down a bit and put our focus on Him. After all, in the midst of all that was happening He was still there. Waiting for us. Providing. Taking care of us. Personally, it was also a time to reconnect with my Savior. A time to sit down and reflect on all that He has done and what He was doing. I didn’t have the whole picture in front of me. Just bits and pieces but one word came over and over again – TRUST. So God forced us to lie down, to stop wrestling with the issues that came from every sides and to connect with Him. And we went through the hard times. Oh! We had ups and downs. Fortunately not at the same time for my husband and I. But I did felt despair at times and I turned to Him who reminded me that He was there no matter what. This past spring, I took a picture of my daughter walking in a field. I love to think that I was walking with God in a meadow and sitting with Him to rest. I wasn’t alone I know it but I can say that there was days I wondered and questioned. But in the end, I realized that He was bigger than any problem that could come my way and that He was ever present in my life. This past Monday – we went fishing on White Lake, ON. Mind you it wasn’t quiet with 6 people on the boat but I had the opportunity to take pictures of the lake and enjoy God’s creation – from loons and eagles to fishes and dragonflies. The water were not so calm that day. There were waves. But when I took this picture, the sun was rising and the water were smooth. Quiet waters. Water of life. God himself being able to calm the storms of life – the struggles and the hurricanes going on when we don’t know where to put our feet anymore. Turning to the Bible has been a lifesaver for me. Deciding to read through the Bible since January a blessing for my life. My Transformation Study Bible has an interesting note for verse two. “The word translated “leads” means “to lead gently”. Apparently when you are a shepherd, you cannot drive sheep. The sheep will follow the shepherd’s voice and follow him. No need to yell, to hurry them, just play calmness in the voice. This is exactly how God calms me while I go further and further in the Bible. And He is so ever gentle with me. I also took the habit recently to list my praises and thanks of the previous day in my journal. A simple thing to do everyday but so rewarding at the end when you stop writing and already you have filled a whole page in your notebook. This got me thinking. When you go through hard times, when God shows up and helps you to slow down, there is a reason. It will help you grow close to Him, trust Him with every aspects of your life and realize that He is in control. In case you are wondering our though times went on until early Spring. We are doing better. The business is rolling but it would be nice to have a few more opportunities of contracts. On the family side, I realized that I needed to become an intercessor for a close person in my heart. So daily I pray to God that He will work a miracle and that He will show His presence to that person. As for the church, well we are still waiting for an answer. But we also know that ultimately God is working even when we don’t see it.